Long and ugly stretch marks are embarrassing and make you feel self-conscious. It has been estimated that over 90% of pregnant women get stretch marks post pregnancy. Apart from pregnancy, it can also be developed when a person loses or gains weight too quickly, puberty or due to extensive workout regimen. When the skin loses its collagen content or stretches beyond its natural elastic limit, it fails to stretch back to normal. This results in the development of a fine line of stretch mark in that area. Stretch marks are not harmful, but they are hard to get rid of. Opting for a quick surgery or a laser treatment might help you hide them but in the longer run, they lead to saggy skin. Is Sugar Effective in Reducing Stretch Marks? The glycolic acid (AHA) present in sugar has very small molecules which easily penetrate into the skin and promote production of healthy skin cells. Sugar is known to be a natural humectant. It can attract and lock moisture from the environment, leaving the skin soft and supple. Sugar exfoliates the dead skin cells which usually accumulate on the stretch marks. Scrubbing also helps to improve blood circulation which speeds up the healing process. 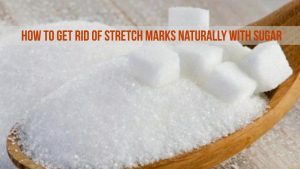 There are few different ways of using sugar for stretch marks. Choose any of them as per your convenience and don’t forget to try them regularly. Combine 1/2 cup of sugar and enough amounts of water. Stir the mixture well until you acquire a smooth paste like consistency. Apply this along the stretch marks and scrub well in circular motion. Repeat this 2-3 times every week. Note: For better results, use brown or raw sugar instead of white sugar. White sugar tends to be hard on skin. Salt scrubs are usually preferred for a tight belly skin. Salt flushes out the toxins and any impurities off the skin which in turn boosts collagen production in the skin tissue. A salt scrub will improve blood flow in the skin and give a flexible and elastic skin. In a container, mix equal parts of sugar and salt (approx. 200-250 grams each). Now add about 100 ml of palm oil and mix well. Apply the paste to the affected areas and scrub gently in circular motion. Leave it on for a while before washing it off with cool water. Note: Sea salt is usually preferred for this method. You can also use coconut, olive oil instead of palm oil. Being rich in astringent properties, lemon helps in the increase of collagen production and elasticity of the skin. Squeeze a lemon and add some coconut oil into a small cup. Add sugar enough to form a sludge (Highly viscous). Apply the mixture on the affected areas and gently scrub for few minutes. Instead of coconut oil, you can use olive oil, almond oil, castor oil or palm oil. The scrub could be a bit rough so proceed with caution. The humectant properties of honey help the skin retain the moisture content. It also helps to tighten the sagged skin. In a bowl, mix equal parts of olive oil, sugar and honey. Apply the mixture on the affected parts. Leave it on for a while and then wash it off with cold water. Try this process every other day for best results. Lemons contain citrus which helps in lightening up the skin whereas honey has great emollient properties which retain moisture in the skin cells. Into a cup of sugar, add juice of ½ lemon, 1 tablespoon each of honey and olive oil. Mix well and apply this scrub to the stretch marks. Repeat this method 3 times in a week. The mono-saturated fats present in milk improve the collagen production, moisturize the skin and improves its elasticity. The vitamins, minerals and water content present in milk nourish and hydrate the skin. Cut a lemon into two pieces. On one piece, pour salt and on the other pour fine sugar powder. First, rub the lemon with salt on the stretch mark. Hold for a minute. Now rub the lemon with sugar on the stretch marks. Hold for another minute. Now dip the lemon pieces in milk and apply again on the stretch mark. Let it sit for 10 minutes this time. Wash it off with cool water and dry up the skin with a cotton cloth. Repeat this remedy for about 2 weeks for a clear skin. Ground coffee is known to be an amazing exfoliant. It removes dead skin cells and paves a way for new skin cells to emerge from the under and reveal the healthy skin underneath. Caffiene present in coffee grounds improves the production of collagen and improve elasticity. Combine 1 tablespoon of sugar, 3 tablespoons of grounded coffee and 2 tablespoons of melted coconut oil. Mix well to attain a fine paste like consistency. Massage briefly and leave it for about 10 minutes before washing it. Dry with a soft cotton towel. Vitamin E, polyphenols and phytosterols present in olive oil lock moisture in the skin cells, improve blood circulation, boost collagen production and increase skin’s elasticity. Into a bowl, add 2 tablespoons of sugar and 1 tablespoon of olive oil. Mix well and spread it on the stretch marks. Massage well in circulation motions for about 10 minutes. Repeat this process daily till the marks fade away. The mono saturated acids in coconut oil strengthen the skin cells and improve elasticity. Application of coconut oil during pregnancy can ensure the skin to bounce back to its original shape and retain its elasticity. Melt a cup of coconut oil and add 1 cup of powdered sugar into it. Mix well and apply this to the stretch marks while it is still lukewarm. Massage well and leave it for about 10-15 minutes. Wash off the application with lukewarm water and pat dry. Do this daily before bathing for a smooth and elastic skin. Alternative Method: Melt 1 cup of coconut oil and remove from the flame. Add 1 cup of sugar into it and stir. Let the mixture cool down. Once it cools down, apply enough amounts of the mixture on stretch marks. Gently rub for 20 – 25 minutes. Repeat the application daily. Store the remaining mixture for future use. Almond oil is rich in vitamin A and E which improve skin health and promote the healing process. It also helps to clear out any dirt or debris on the skin and make skin more bright and radiant. Mix ½ cup of powdered sugar and enough almond oil to make a paste. Apply this paste onto the parts where the skin is stretched to the maximum. Massage in circular motion for about 2-3 minutes. Leave it for a few more minutes before washing it away with cool water. Dab it clean with a cotton cloth. Repeat this once every week for a smooth skin. The ricinoleic acid present in castor oil is known to tighten the stretch marks. It penetrates deep into the skin and moisturize the skin. Mix 1 cup of sugar with enough amounts of castor oil. Apply this paste on the stretch marks. Repeat this procedure daily for about 3 weeks to see the results. Note: Make sure that the amount of oil used is less than the sugar quantity. Shea butter is an emollient which is rich in Oleic, Stearic, Linoleic and Palmitic acids. These help in the production of collagen which in turn helps to retain and enhance the elasticity of the skin. Using a double boiler, melt the shea butter. Mix ½ cup of shea butter and ¼ cup of sugar. Stir well and add about 4 drops of orange essential oil. Apply this to the stretch marks and massage well for about 5 minutes. Leave the application for another few minutes and rinse off with water. Combine 1 1/2 cup of cane sugar (organic), 1/2 cup of coffee grounds, 1/4 cup of ground oatmeal, 3 tablespoons each of honey and coconut oil, 1 tablespoon of calendula infused oil, 1/2 tablespoon of vanilla extract and 2 drops of peppermint oil. Mix the ingredients well and store in airtight container. Take enough amounts of mixture and rub it gently over the stretch marks. Follow the process 2 – 3 times a week regularly. You can store the leftover mixture in the refrigerator for future use. Combine 1/2 cup of sugar, 1/4 cup each of almond oil and vitamin E oil and 1 cup ground coffee. Wet the stretch marks areas with water. Scoop out enough amounts of the mixture and apply it on stretch marks. Gently massage for few minutes and leave it on for 20 minutes. Store the rest over mixture in the refrigerator for future use. Always perform a patch test before using any of the above mentioned methods. For best results, use brown or raw cane sugar. Scrub gently. Don’t rub too hard as it might irritate the skin and injure it. If you happen to have any bruises or cuts in the area of stretch marks, refrain from using any of the methods mentioned above. Dehydration is one of the worst enemies of stretch marks as it makes the skin dry and brittle. So, drink plenty of water to keep the skin hydrated. Since most of the stretch marks develop post pregnancy, take care of your skin while you are pregnant. Moisturize daily to maintain the skin soft and supple. DO NOT RUSH weight loss. Quick weight loss is one of the reason for saggy skin and stretch marks. Be cautious of using the ingredients mentioned above if you are undertaking any kind of dermatological treatment. Removing stretch marks is time consuming process. So, we recommend trying any process with some patience until you achieve the results. For any queries, please do write to us in the comment section below. I have stretchmarks since 2010 due to gain of weight and they are very bad I can’t even wear a dress or un dress infont if people even my boyfriend. I tried the sugar scrub like I mixed brown suga and olive oil but now I wash with hot water every morning when I bath after 15 of scrubbing. Do you think there will be an effect if one wash with hot water? If so then can I wash the scrutiny with cold water and then hot water after? Remember it’s winter. Please assist. I’m tired of this life of hiding. ..I once thought of killing myself because of this cause my friends would wear shorts in summer and I’ll be on my long dress or Jean. ..it’s sad I’m not seeing any results I tried everything. ????? 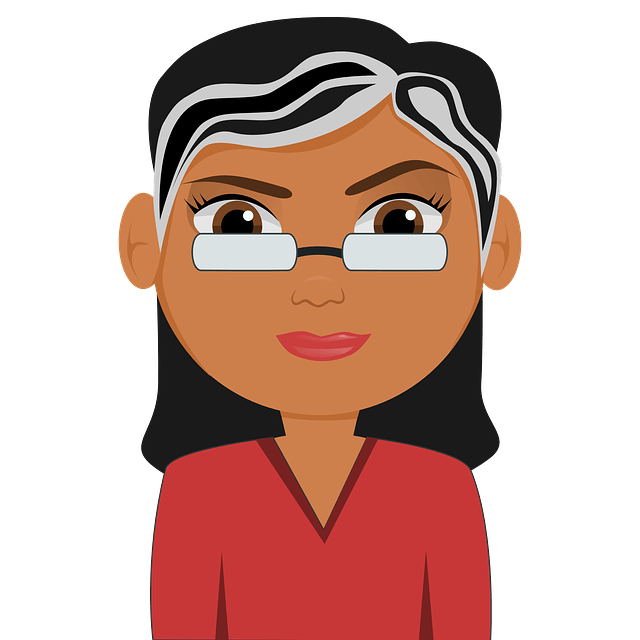 Rinse off the application using lukewarm water instead of cold or hot water. Apart from trying the scrub, make sure to moisturize the area to get effective results.